Annual Rainfall avg: 797mm. Summer avg. 236mm. No. of rainy days: 50 Winter avg. 135mm. 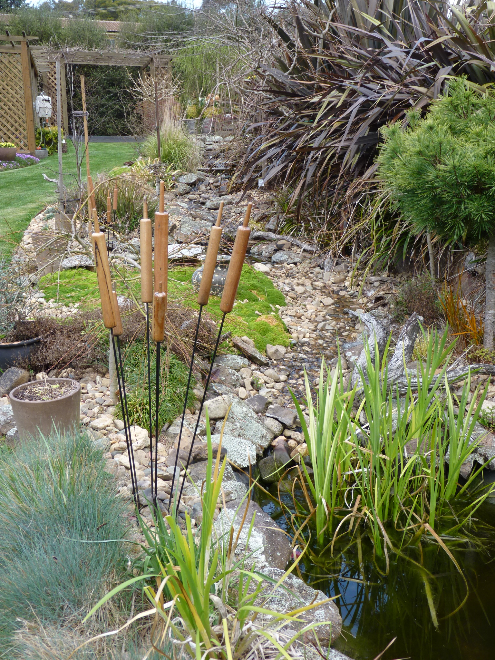 Numerous water features exist in the garden and provide a sense of movement and sound in the garden. Features include a high flow river and meandering stream, water blade, wine barrel, overflowing buckets, dripping chain and water curtain. 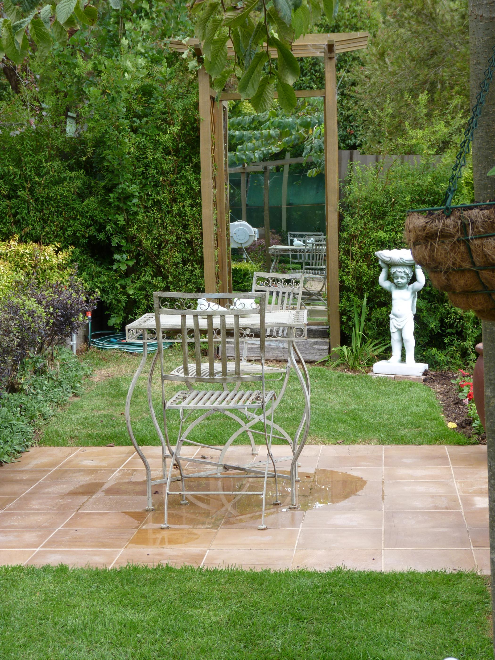 Two mirror features provide increased depth and perspective to the garden. 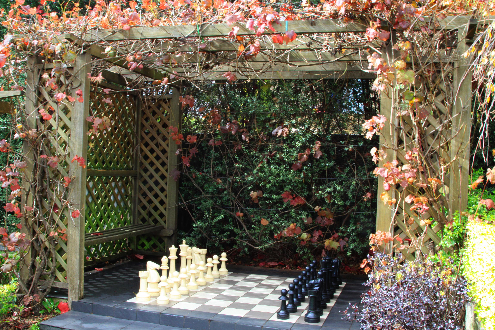 Recreational areas within the garden include garden chess and a croquet lawn. 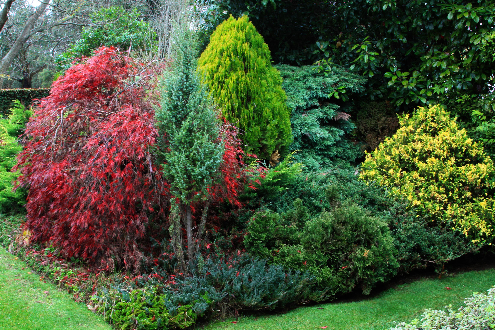 Autumn is a magical time in the garden with the changing colours of numerous japanese maples, ornamental grape, boston ivy, and the claret and golden ashes. Spring is equally as colourful with masses of Alpine Phlox in October together with numerous blossom trees, including a thirty year old Mt. 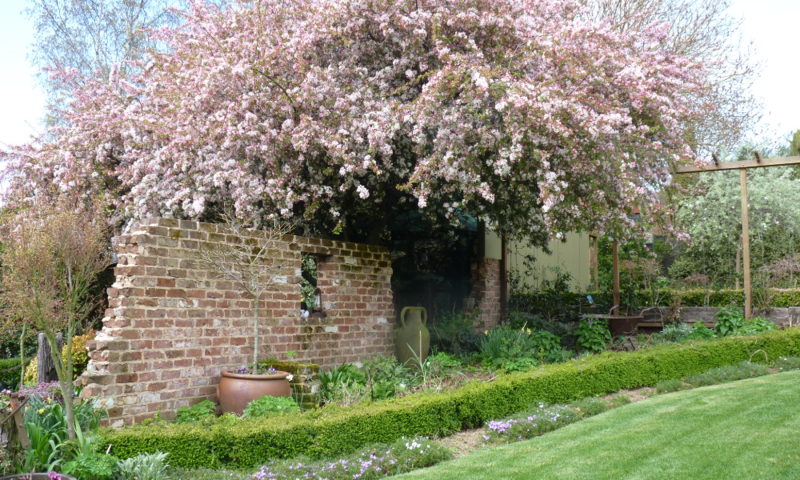 Fuji cherry tree and white flowering May (spirea) hedges. 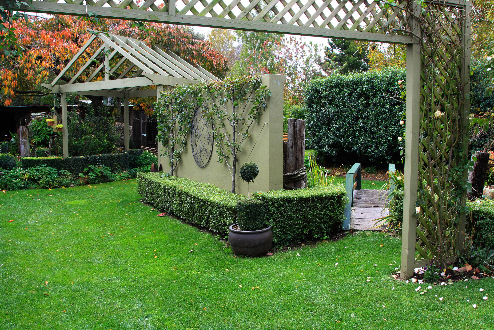 The garden is divided into many 'rooms' with timber trellises, masonry walls and hedges. The very best small garden I have ever seen. I return each year to again be delighted by it. Congratulations to the owners who created such a paradise. Ventry.